If you take the Trans Mongolian and ride it in one go from Moscow to Beijing - or the other way around -, it will take you 7 days... It took me 2 months. Let's just say I took my time to explore in between, and although you don't have to take as much time as I did, I highly recommend you make a few stops on the way. In your journey you will ride Russian, Mongolian and Chinese trains. I found them quiet equally confortable and clean. I broke up my journey in 4 legs. I first went from Moscow to Novosibirsk (48h), then Novosibirsk to Irkutsk (19h), Irkutsk to Ulan-Bator (30h) and Ulan-Bator to Biejing (30h). Before my first trip I was quiet concerned about how to spend 48h in a train without going bananas. It is 2 full days in a small room with just a hallway to walk if you want to stretch your legs a bit. But it turned out to be just fine. Wether it's a book or a kindle full of books, an ipad, a phone or a computer. Bring something with you that will help you pass the time. Because even if you're with the best train-mates ever in the compartment, there is little chance you're going to talk to them for 10 hours straight. So you will need to occupy yourself otherwise the ride is going to feel very long and boring. Or if you're a day dreamer you could just stare outside. And you won't be disappointed, the trains go through beautiful landscapes. I mostly watched TV shows on my iPad or read. I read quiet a lot actually, way more than I usually do. I travel with actual books, although I have seen people with Kindles and those things look really cool and convenient, but I guess I am old school on that one and love reading on paper. And when you're done with it, in almost every hostels I have been to, you were able to exchange books. The other option is to exchange with another traveller. On Olkhon Island I met an English guy with whom I exchanged my Book "In Siberia" which I couldn't read at all, I couldn't understand every other word and my English is not bad at all. I ended up with "Gone Girl" by Gillian Flynn which I highly recommend, and the movie too. On the leg form Moscow to Novosibirsk, I had a 2nd-class ticket and I ended up in a single compartment. By that, understand that I was in a small cabin, with just one bed. Not bad! but 48h in a train by yourself?!... You do need something entertaining. I ended up meeting other people anyway - you read more about it here -. Which brings me to my next point. It's not heavy, some of us have better ones than others, but trust me, I'm not really good at it and I went just fine. Except for my leg between Novosibirsk and Irkutsk. I was travelling in 3rd-class (6 beds), and the wagon was almost full. I had 3 other people with me in the compartment, and it pretty much went like : -woman talking to me in Russian-, "Sorry no Russian, English? ", "Oh no English". And that was it. I did not say another word for the rest of the 19 hours trip. Sometimes the more people the harder it is to interact, at least that's the way I feel. Between Moscow and Novosibirsk I shared some vodka shots with 2 military Russian guys and between Irkutsk and Ulan Bator I met a bunch of foreigners. First from the cabin next to mine, then we went for a drink in the restaurant wagon and met some more there from all around the world - Australia, Holland, China, USA. It actually was the only time I have met foreigners in the train. But don't worry if you don't bring much food or not enough. Every train has a restaurant wagon, but that would be the most expensive option. If you're travelling long-term and want to save some money or are on a budget, There's stolls in the main stations where the train stops and they sell tons of different food and snacks. 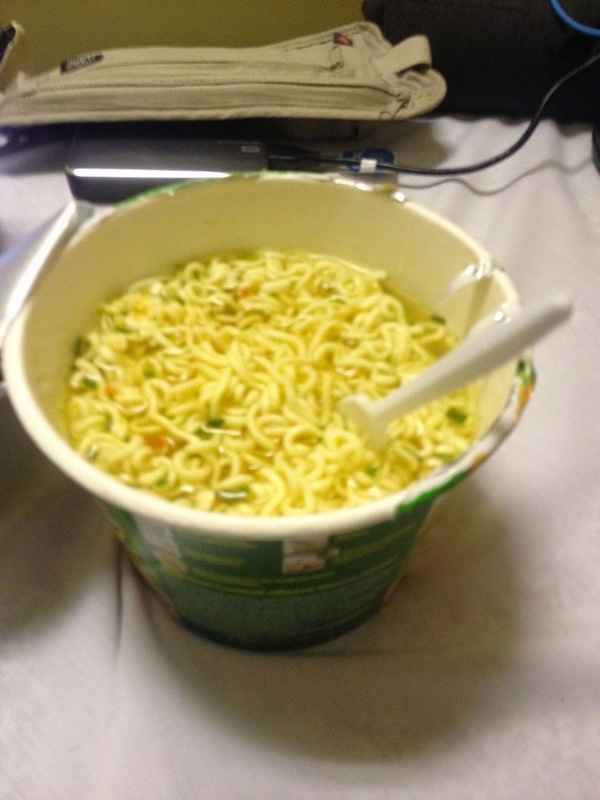 You cannot starve on your trip. Duh! This is just to talk about border crossing in case you're wondering how it goes. They last about 1h30 - 2h for the passport and visa checking. And during that time you're not allowed to go to the bathroom or far from your compartment. From Russia to Mongolia we had a first control by Russian officials. They went through every single cabin. checking that there was no hidden bags. That was the most thorough check from all. Then the train will go on for another hour or so before reaching the Mongolian border. The Mongolian officials took our passports and checked one of my bags, the biggest one. Check is a big word, they asked me to open it and take out a few items at the top, then asked me "only clothes", "yes". And they left. I had my drone in my smaller backpack and they did not even bother checking this one. In a way I was glad, because even though it is not illegal or forbidden to travel with a drone, it is still quiet unusual and I have learned that officials do not like what looks unusual and tend to be suspicious and start asking questions. To my surprise, Entering China was even smoother, except when the custom agent took my passport and had a hard time figuring out if it was actually me on the passport photo - I had grown a small beard and had 2 more months worth of hair on my head -. But they did not even check the bags. What takes a long time between Mongolia and China is when they change the wheels of the train. Count a good 4 hours if not more. It is quiet entertaining for a little while to see how they do it. I had read before that you had the choice to either stay on or jump off the train while they were dong it. We did not have that choice and had to stay on board. Duh! #2. A bit about the tickets booking. I was in Russia in October and in Mongolia in November, and one thing I can tell you is that at this time of the year you do not need to book your train tickets in advance. The most in advance I booked a ticket was 1 week and it was because I was couchsurfing at a Russian guy's place in Novosibirsk and I thought it would be convenient if he could help me to book it since very few people speak English. I booked my ticket from Moscow to Novosibirsk 2 days in advance. In Moscow and probably in most major train stations you can use automated ticket machines and they have an English language option. For the train between UlanBator and Beijing, I booked it through the hostel and they did not charge. There is 2 types of trains from UlanBator to Beijing; the Chinese one, which Mongolian railway officials only know the amount of available tickets 1 day in advance, which makes it hard to book, and the Mongolian for which you can book tickets in advance obviously. The Trans-Mongolian train ride is an experience in itself. In the end, all the previous point I have mentioned are just here to try to make the journey more enjoyable but there will always be some unexpected situations and that what makes travelling so awesome! You cannot plan everything! I have always loved travelling by train and this one was on my list for a long time. Now that I have done it and look back, I don't regret it at all and would definitely do it again if I have the opportunity stopping in different places. Or maybe take the Trans-Siberian and go all the way to Vladivostok. More than just a train ride, it is a regular mode of transportation for locals. With our foreigner's/tourist's eyes we might be tempted to think that it is just a tourist attraction, but once you're in, you realise that people take this train the same way you take the train to go visit your family, the difference being that their journey may be 2 days long or more. And you reach so remote places for which the train is probably the only mode of public transportation available to reach other cities. If you've been thinking of taking this journey, I can only encourage you to do so. And if you don't mind the cold, which is not too bad at this period of the year, October is a pretty good month to do it. It's not freezing and the tourist crowds are already gone. In any case, Jump on board, sit down, relax and enjoy the ride! Are you thinking of taking this journey? 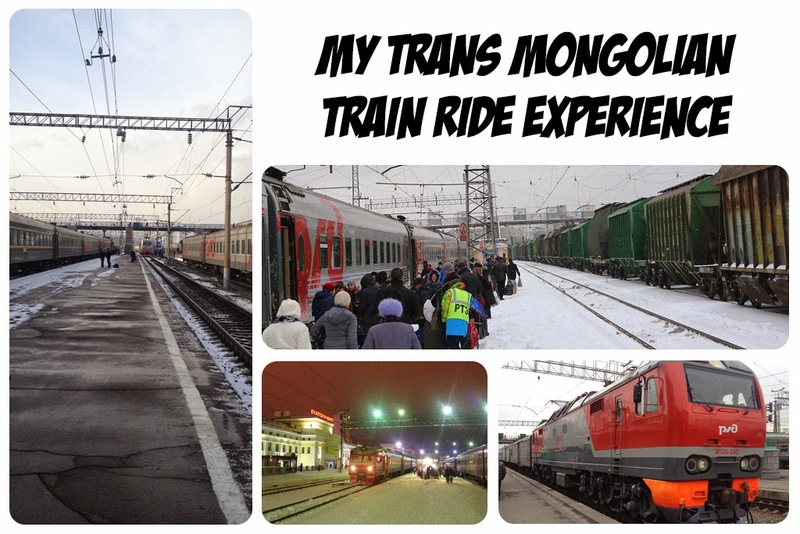 What was your experience on The Trans Mongolian or Trans Siberian? Sounds great; definitely glad I read this before going in August! Thanks! I'm glad you found it helpful. Have a lot of fun on your trip! Your trip looks awesome! Me and my friend are currently saving money to do something similar for hopefully 2018. I love the idea of taking a drone, though I'm not sure how much it might get in the way of other activities for us, but we're looking into it. It defiantly looks as though the photos and videos taken from such a different perspective are well worth it! Can I ask how much planning you did before you took off? Did/do you know when you'd be going back home? Did you know when you were going to travel between different places? How much time roughly you'd spend in each place? Anything like that? I had this trip in mind for a while before I actually started planning it. I would say that I spent a couple of months really working on the places I wanted to go to before I started. But then on the road I never really planned in advance where I wanted to go, I wanted to keep it open. 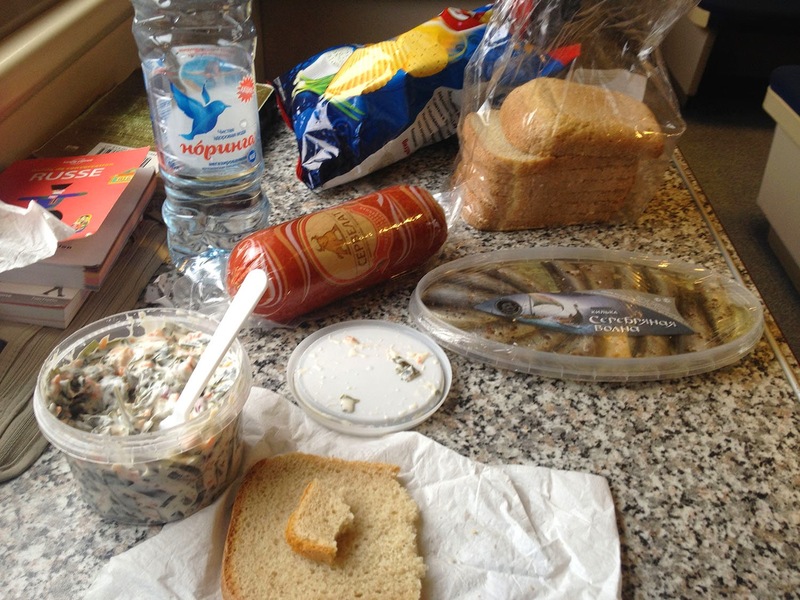 For example, when I left France by train I only had my ticket from Paris to Moscow, I bought the rest on the go. I spent about 1 month in every country I visited, I spent 2 months in China, Indonesia and Australia. It took me 15 months from Russia to New Zealand, where I currently am since last year in November. And I am not planning to go back home just yet. For the drone, on my trip it was my main purpose to make aerial videos. But now with the GoPro Karma and the DJI Mavic Pro, it will make things so much easier to travel with a drone. I hope you get to do your trip with your friend.